Music Ministries can be traced throughout the Bible.The earliest instruments of music (Hebrew, kinnor, translated "harp" in Genesis 4:21) were invented by a man named Jubal and other instruments were later made by David (I Chronicles 23:5; II Chronicles 7:6; 29:26) and Solomon (II Chronicles 9:11). Musicians are prayerfully being interviewed to join our growing music team. Are you considering a place where your gifts can be share to glorify God? Then, your gifts and talents are welcome at Faith Community Church. Are you a musician? Do you love to sing? If you do, click here. 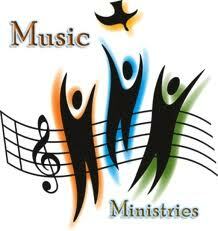 ‘Music Ministry’ exists to serve God with the gifts he has given through voice and instruments. We value the music ministry because Colossians 3:16 shows us it is a ministry of God’s Word, to build up his church and music plays a critical roll within God's church, helping us let the Word of Chist dwell in us richly. Because we believe that music ministry is important to reach God's people to encourage, inspire and help God's people "Rejoice in the Lord" and be filled with "an inexpressible and glorous joy (1 Peter 1:8). both theologically and practically to minister to people.